Getting rather addicted to being short-winded. Watched National Treasure 2 last evening, for family movie night. Like most sequels, this one wasn't nearly as good as the first. It was just too unbelievable. At least the first installment had the benefit of novelty. Obviously, they're trying to imitate the Indiana Jones model. Also like Indiana Jones, the sequels get increasingly cheesy. I can't imagine they'll come out with a third film. Please, don't let them come out with a third. Just stop it, now! 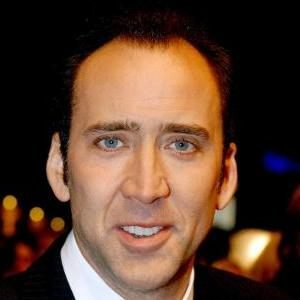 I like Nicholas Cage's puppy dog eyes and all, but I've had enough of the same-y plots. My daughter is still on her "all the food in the house is disgusting" kick. Advice from my doctor was not to make a big deal out of it, as that's how eating disorders get started. Once a child discovers food is a good weapon she'll dig in her heels and refuse to eat anything (now she deigns to eat fruit and the brand name yogurt she found in the refrigerator). She's using food as a control method, and we can't let her think she's winning. Parenting. It's just slightly more fun than being hit over the head with an anvil. Warmer here today, 20 F instead of wind chills of – 30 F. Unfortunately, it's windy, which makes it feel colder than 20. But still, you don't feel as though you've fallen asleep in Chicago and woken up in the Arctic. Unfortunately for those to the East of us, they're enduring the frigid temperatures we've just gotten rid of. Sorry about that. "DC to Erect Prostitution-Free Zones During Inaugural Weekend"
Tell me the editors weren't giggling like school boys when titling that article. Yep, those DC copys really laid down the law! They don’t screw around …!!! Previous Post Short-winded, for once. Next Post Oh dear God.